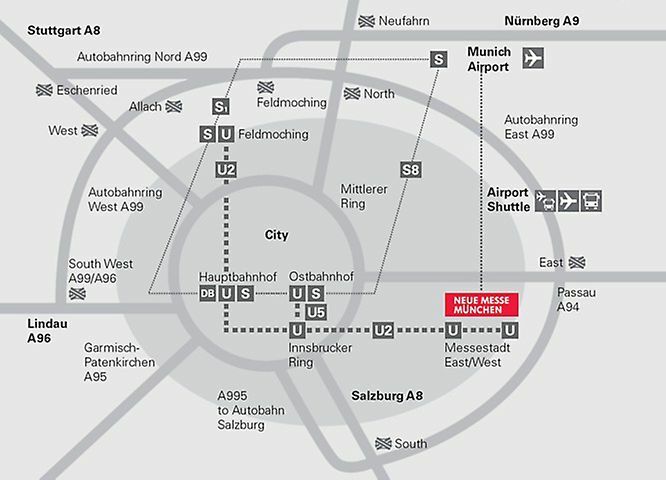 The fairgrounds can be reached using Line U2. Tickets can be bought in advance which saves waiting times at the ticket machines. The fairgrounds are situated next to the A 94 motorway. A dynamic traffi c guidance system shows you the way. Please only follow the instructions given by the traffic guidance system and not your navigation system.